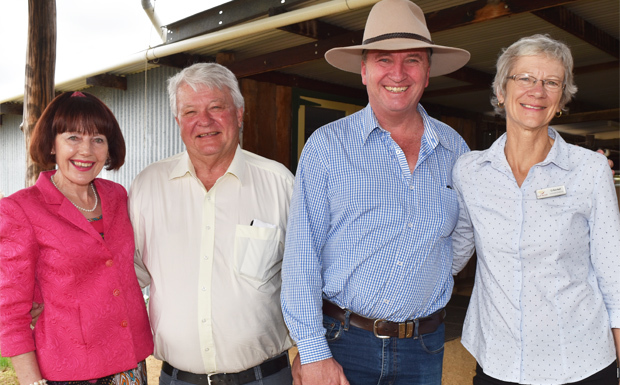 Proston-Boondooma LNP branch president Kathy Duff organised the get-together at Boondooma Homestead in the lead-up to the (most-likely) May 18 election. It was open to everyone, not just LNP members, but it would have been a very brave Green or ALP supporter who showed up. Guest speakers were Member for Flynn Ken O’Dowd, who scraped in on postal votes at the 2016 Federal election, and Mr Joyce. This time around Mr O’Dowd faces another tough test. The Labor Party is again fielding Zac Beers, who almost downed Mr O’Dowd last time, and One Nation are fielding experienced and high-profile candidate Sharon Lohse. “Kenny is the litmus test. We lose Kenny, we lose the election,” Mr Joyce told the circle of seated listeners. 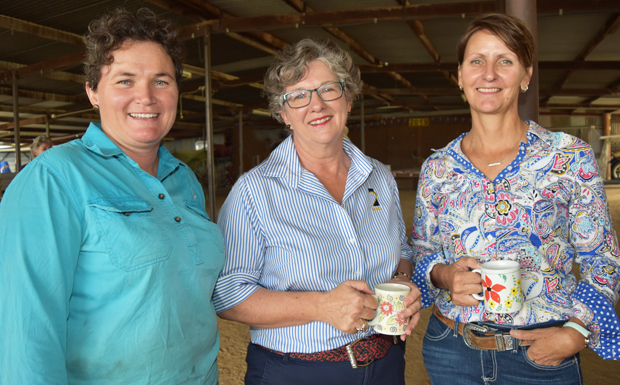 Topics covered included the necessity for the farming sector to “not only survive but thrive” and the much-discussed Bradfield Scheme to irrigate western Queensland. Mr Joyce said the only thing that stood between getting water into the Thompson River – “which would have a huge effect on the wealth of Queensland” – was “ourselves and the Green movement”. “We have to learn how to take them on and have the political zeal to push issues through,” he said. “These are all part of the National Party’s influence within the Coalition government, make no mistake about that,” Mr Joyce said. Mr Joyce said the worst thing that could be done to Queensland was to shut down the coal industry. “I understand the concerns that people have, I really do,” he said. He said the Coalition wasn’t up against the Labor Party in the upcoming election, but a Green / Labor Party / Independent alliance. Mr Joyce said Labor would have to have a working relationship with the Greens which meant policies that would “put us out of business”, such as the end of live sheep exports and the live cattle trade, changes to the road transport of livestock and “apparently cotton is immoral”. 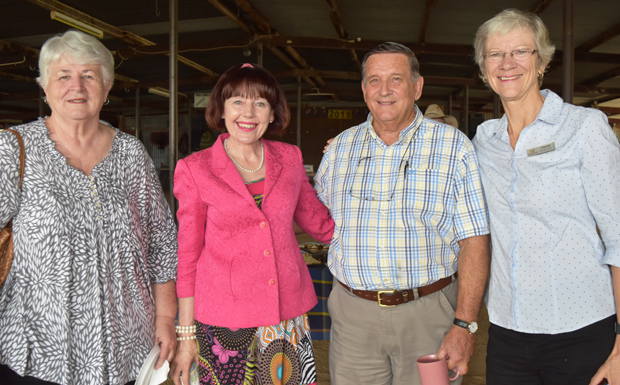 “If we shut down the cotton industry, we don’t have any cotton seed and if we don’t have any cotton seed (cattle producers) won’t have any protein or roughage for our feed mix,” he said. Mr Joyce said the Greens also wanted to “shut down irrigation” which would turn St George and Dirranbandi into ghosts towns of “white poverty”. On the emissions reduction target, Mr Joyce said “there was no legislation that would have any effect whatsoever on anything to do with the climate, but we can send ourselves broke”. Mr Joyce said this was already happening, with 20,000 people in Queensland going off the power grid because they could not afford their electricity bills. He said farmers could not irrigate because of the cost of power. “It’s immoral if you can’t pay your power bill,” he said. Mr Joyce also warned that a Labor Government could tax methane emissions, raising the spectre of a “methane” licence tax for cattle producers. “I apologise if I’m a bit out there at times,” he said. The topic of One Nation preferences, which has been the focus of much discussion in the metropolitan media, was also brought up during questions. Mr Joyce said “if you want to look at someone who’s completely off the planet, go talk to someone from the Citizen’s Electoral Council … they’re crazy”. “I have sat down and talked with all of them, to try and get their views. “Then I’ve got to ask this question. A lot of them ARE crazy but you’ve got to have gradations … they’re not as bad as the other ones. “I have to think about it. Are the Greens going to do more damage to me than One Nation? Well, I think the Greens will. “I understand how it offends other people but I have got to make a decision for our people, not for their’s. “I don’t want to get sucked into this ‘let’s all do this together’. “Probably in Hunters Hill it is a really good political move to put One Nation last. But here, we have to make logical decisions. Mr Joyce said he was “absolutely certain” the National Party offered better representation than One Nation, because by being in a Coalition, the Nationals could get things done. “You can’t stand out in the corridors and yell and scream and think that has any effect,” he said. Mr O’Dowd said he believed the Labor Party and Greens would do more damage to his electorate than any other party. “Labor and Greens should go last,” he said. southburnett.com.au asked Mr O’Dowd if he was worried his preferences might flow to the One Nation candidate and push her over the line. “It does but I think it would hopefully be a better result than Greens or Labor getting in,” Mr O’Dowd said. 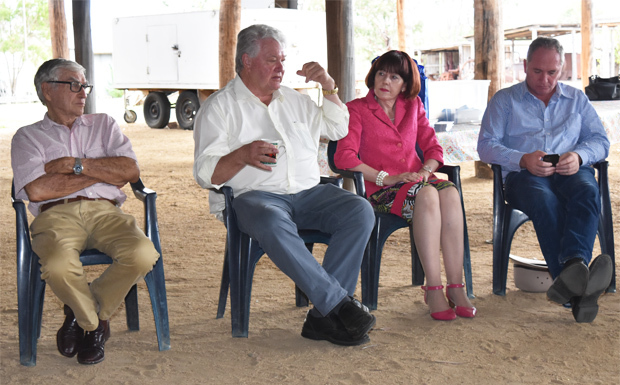 The Boondooma visit was part of a whirlwind trip through the Flynn electorate by the pair, who also planned to visit Mundubbera, Theodore, Taroom and Moura. 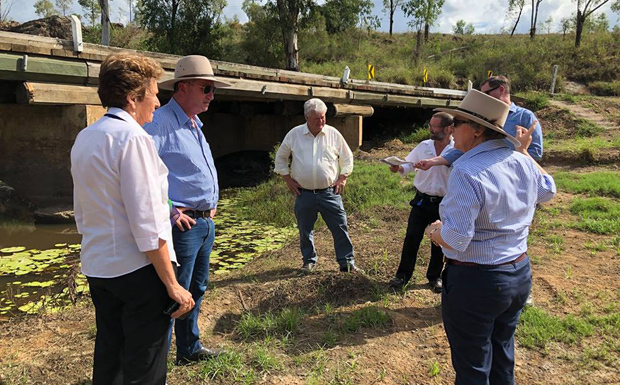 On the way to Mundubbera, Mr O’Dowd and Mr Joyce met with members of the Mundubbera to Jandowae Roads Working Group at the single-lane John Peterson Bridge. The group has been lobbying the Federal and State governments to release $20 million to upgrade the bridge. This would enhance road transport links between central Queensland and the transport hub which is developing at Toowoomba with the Wellcamp Airport, the Second Range crossing and proposed Inland Rail. What is now on record is Barnaby’s look-at-me/us spruikings about how much public monies have flown through, and yet regions predominantly under Nationals/Liberals/Conservative options are in the majority of lower socioeconomic regions nationally. Higher unemployment rates, lower personal and or household incomes despite the known higher figures derived from off-farm employments such as mining, farms remaining viable due to off-farm employments, and the resultant higher crime. rates. Not forgetting higher suicide/attempts rates, also. The status quo has, and clearly is, failing communities. Real change, not shades of the same, are needed not just inevitable, and ASAP. The simple message the LNP is not telling is country areas under their stewardship have been in decline for decades, losing their youth, their industry and towns. Nothing the LNP is are doing or are proposing to do will reverse that trend. The Nationals for this little enclave have become a costly siphon on the public purse diverting funds away from both industries and towns to placate a minority that nether employ in the numbers required or financially support rural towns enough to maintain a stable economy. Country towns need more then the rantings and bumbling of a National Party-come-LNP that has never accepted that change is the key to regional revival. 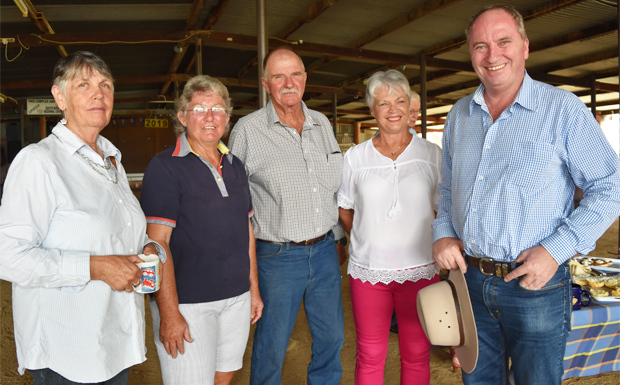 The Durong-Boondooma area has not changed or developed new industries to employ and drive the local area forward, becoming reliant on government handouts for so long it has become an expectation within their culture. 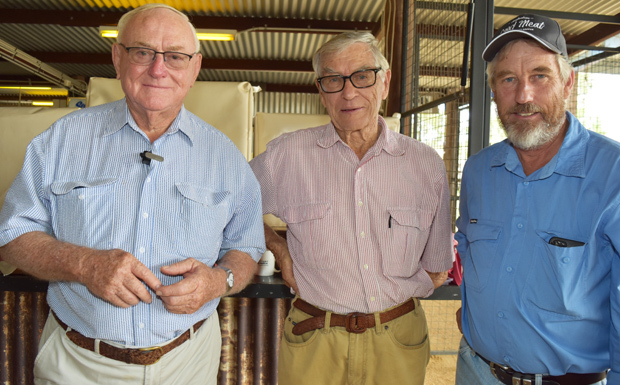 The LNP under various brand names have controlled these areas for over 100 years, never looking beyond the farm gate to the changes that have shaped this country and are now reshaping this region’s future. On renewable energy, the uptake of solar can be seen on farm building roofs and the battery packs installed, all subsidised and promoted by governments, including the LNP as the way to go into the future. On the shutdown of the Queensland coal industry, it’s the LNP and their Green alliance that are attempting to block the development of mining at Kingaroy and the re-establishment of a rail link to the region. Both projects worth millions to the local economy and hundreds of jobs. On cotton, the LNP has allowed the rivers to be pumped dry, destroying thousands of farms and country towns all the way to the Murary river mouth and then they try to shift responsibility for that disaster when Mr Joyce himself was the Minister in charge. “Rusted Off: Why Country Australia Is Fed Up” – This book is an easy read by political journalist Gabrielle Chan. 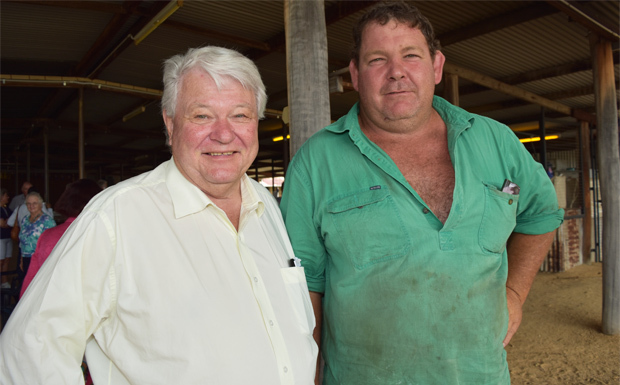 It articulates well the issues facing politics and our challenges in regional and rural areas like the South Burnett. What we experience here in the Burnett is felt around Australia. There’s a shift in political interest, participation and the flow of votes! “Almost traitorous”, and that comes from the Shooters Party…. calling out One Nation’s actions and the weakening of the nations’ firearm laws. Laws that the Nationals under their very much-needed Liberals, formed with unanimous support. Yet the Nationals continue the generational “blame Labor” mantras.